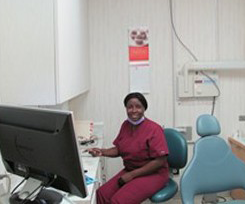 At Morse Family Dentistry, we provide a wide variety of high-quality dental services in St. Augustine, FL. As both a family practice and cosmetic dentist in St. Augustine, our patients enjoy the convenience of receiving all of their oral health services in one convenient location. 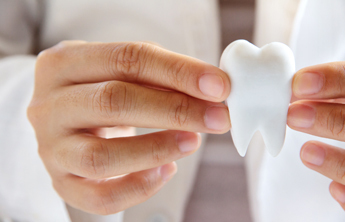 Whether you need a new dental crown or want to learn more about dental veneers, we provide our patients with the gentle dental services in St. Augustine that they deserve at a price they can afford. From teeth whitening to affordable dental implant restorations in St. Augustine, our family dentistry services are dedicated to improving your oral health and giving you a smile you can be proud to show off! Morse Family Dentistry has an on-site dental lab for custom match of crowns, bridges and veneers. Having the lab on-site allows Morse Family Dentistry to provide each respective patient with higher quality crown and bridge as the restorations are manufactured on site using the highest quality materials. Another valuable advantage for patients is that the on-site lab technician is available to discuss materials and to adjust color. Dental implant restoration in St. Augustine from Morse Family Dentistry might be right for you! If you are missing teeth, dental implants may be an option for you. Dental implants are intended as permanent replacements for absent teeth. Implants contain titanium posts, which are topped by restorations. Placed in the jawbone, the posts function as roots, and are topped by dental bridges and dental crowns – these simulate the look and the function of the natural teeth they replace. Unlike other dentists in the area, we accept almost any type of dental insurance. We also offer an in-house dental membership plan called the Quality Dental Plan. Many of our patients without dental insurance have enjoyed the benefits that the Quality Dental Plan offers, including quality dental services at greatly reduced prices. To learn more about our wide array of dental services, contact Morse Family Dentistry today! 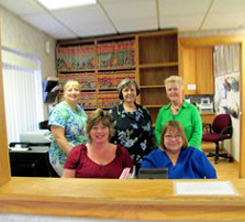 Enjoy gentle dental care at Morse Family Dentistry. Our affordable dental services and wide array of insurance options make it easy for all of our patients to enjoy high-quality dental care. Contact us today! We proudly serve St. Augustine, St. Augustine Beach, Vilano Beach, Palm Coast, Hastings, and World Golf Village.